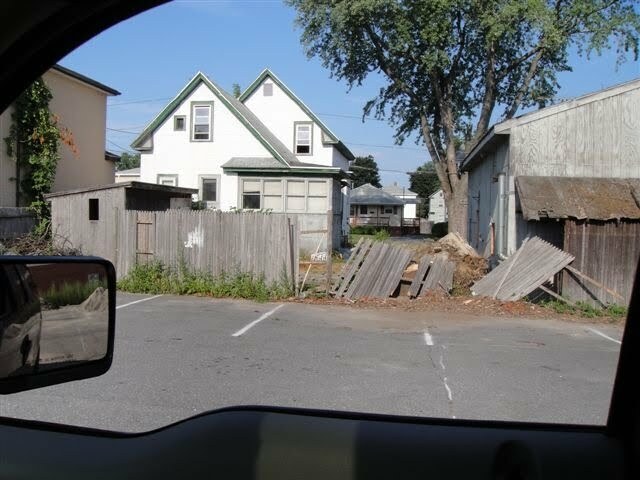 I just got some photos from my dad of what our old home in Lowell looks like now. It's very sad. My dad put tons of work into that house - he built the garage, refinished the basement, etc. The house looked great, throughout the years I lived there (part-time - my parents are divorced and my dad had me every other weekend). Some of you who read this know what my dad's house used to look like. I wish I had before photos but I don't really have any - my dad, I'm sure does though. Now look at it! The people who bought it let the place go to pot. Oh my gosh! That's so awful.